For almost twenty years, Jimmie Lewis lived without any healthcare coverage. However, the father of three is rejuvenated to have insurance through the ACA healthcare marketplace. “I hadn’t had any health insurance since ‘95 when I actually worked at the state hospital while I was a student at Jackson State.” states Lewis. In 1995, Lewis felt invincible at 25 years old but now at 44 he realizes the importance of being insured. Therefore, he took steps to get insured. “It was an in and out process and I didn’t think it was going to be as quick as it was,” explains the Jackson, MS native as he recollects on his experience. Lewis went to the Cover MS office in Downtown Jackson to seek more information about how he could get covered and the steps he needed to take. “The people at Cover MS were really helpful with my situation,” states the father of three. Lewis faced a dilemma because he needed to have a bad tooth extracted and it cost about $360 for the doctor to perform his operation. However, if he waited longer than 30 days from his last doctor visit, the cost would rise substantially because several factors could affect his condition. After talking to Humana he was able to get coverage for only $0.29 a month, which meant that his out of pocket cost would be less. “It feels really good to be self employed and self-insured,” explains Lewis. 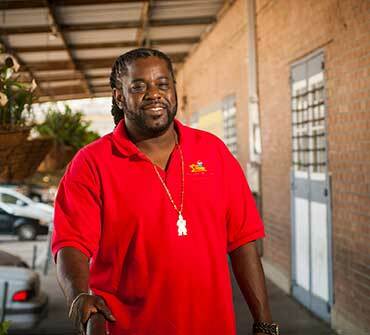 As an entrepreneur and father of three, being covered gives Jimmie Lewis a peace of mind like none other. The Affordable Care Act is working for millions of Americans just like Lewis. Everyone deserves health insurance so get covered today. Watch a video of Jimmie. For assistance, please contact Health Help Mississippi.